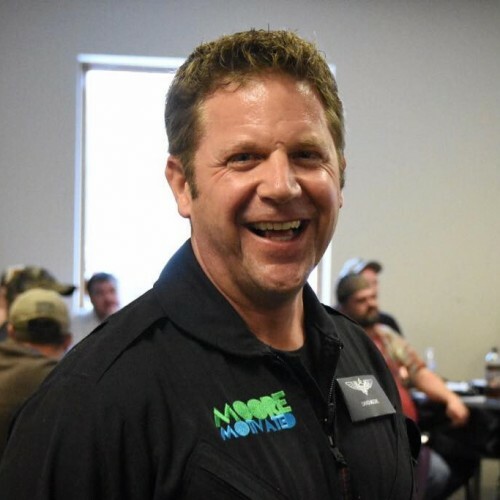 While sharing a raw story of survival, Leader-Developer and Team-Builder Dave Moore inspires audiences into action. Deep rooted speaker on Overcoming Challenges, Managing Change, Camaraderie and Engaged Leadership. Awaken your audience with Dave's interactive and engaging approach to managing CHANGE, build stronger team unity, INCREASE sales & ultimately drive GROWTH and SUCCESS as a company! As a speaker Dave Moore's style is unique, but above all - it's FUN! What better way to learn than to have a blast? Through a story-telling style, Dave shares effective takeaways that leave your audience challenged to embrace a renewed perspective to #WakeUpandWin today better than you did yesterday! Find out more about Dave Moore at http://www.mooremotivated.com/.